A mass casualty incident is the type of emergency situation that produces more patients than the local health services can handle with routine procedures. Thus, extraordinary measures and assistance are required, and this alters the normal provision of health services and emergency care. The Incident Command System (ICS) (see part one of this Module) is increasingly used to direct on-site response operations in emergencies with massive numbers of victims. The ICS facilitates emergency work by unifying operations under a single command, by standardizing procedures, and by establishing a common terminology for all actors in the intervention. If all victims are immediately transported to a health center that may have limited resources, the care of the most seriously injured will be at risk. 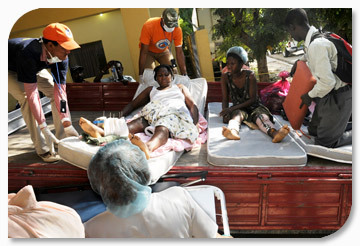 Therefore, specialized on-site care is needed to stabilize victims, who are then transported in better condition. 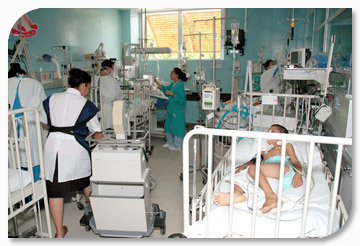 The alerted hospitals should activate their contingency mechanisms, based on pre-established disaster preparedness plans that define the measures to be put in place to transfer the routine organization of health services into a system to respond to the emergency, using all the institution’s resources. Hospital-based triage teams may reclassify patients upon admission. 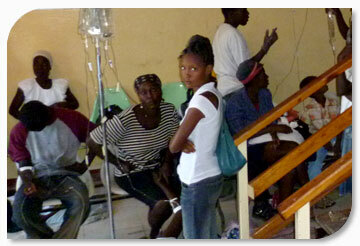 Read more about hospital disaster preparedness and consider a Disaster Planning Checklist. 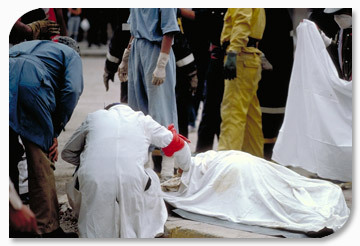 In natural disasters, the management of dead bodies is not the responsibility of the ministry of health. However, in epidemics (such as cholera), where the disinfection of bodies is important, the ministry of health must take the necessary public health measures.